Put the seeded fresno pepper and the garlic in a food processor and pulse until they are finely chopped. Add all the herbs, lemon juice and zest, and the red wine vinegar and pulse to coarsely chopped. With the food processor running add the olive oil in a slow stream. Season to taste with salt/pepper/lemon juice. Roll out pastry on floured surface to about 13×10 inch rectangle. Place on a parchment lined baking sheet. Brush the puff pastry with some of the beaten egg, and then fold in the edges to form a ½” wide border on all sides. Brush the border with the beaten egg. Reserve remaining beaten egg. Place in the refrigerator to chill while preparing the puree. Break the asparagus where it wants to break and discard the ends. Trim the spears to fit crosswise across your pastry shell, and reserve the trimmed bits. Figure out how many spears will fit neatly down the length of your puff pastry (I fit about 18 medium spears but it’ll depend on how thick your spears are). Place the asparagus in a shallow dish that allows them to lie in a single layer. Cover with cold water and soak for about 10 minutes (this helps remove the grit that asparagus frequently comes embedded with – they do grow in giant dirt hills). 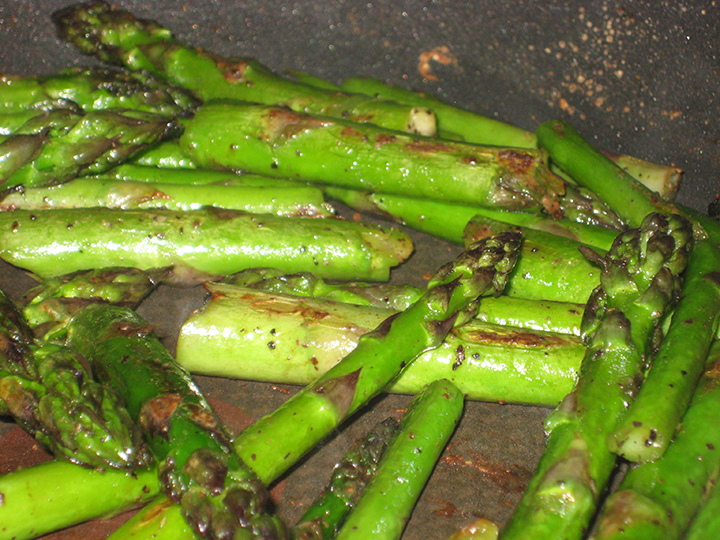 Drain the asparagus, and then steam until just crisp tender (less than a minute). Transfer immediately to a bowl of ice water to stop the cooking process. Drain and pat dry with a kitchen towel. Take the remaining asparagus (also soaked & drained) and any bits that you trimmed to make them fit the pastry shell and saute them in a little olive oil until they are cooked through and browned. Season with salt/pepper/a little nutmeg. Allow to cool slightly. Combine the browned asparagus, ricotta, remaining egg, and ¼ oz each of the grated cheeses in a food processor and blend until smooth. Add lemon zest/juice and salt/pepper to taste. Mix the remaining grated cheeses in a small bowl. Take chilled dough out of refrigerator and spread the puree mixture evenly over the pastry (you may not need all of it). Arrange the asparagus spears over filling, and then sprinkle evenly with the remaining mixed grated cheeses. Bake tart until filling is set, about 20 minutes. Serve warm or at room temperature. 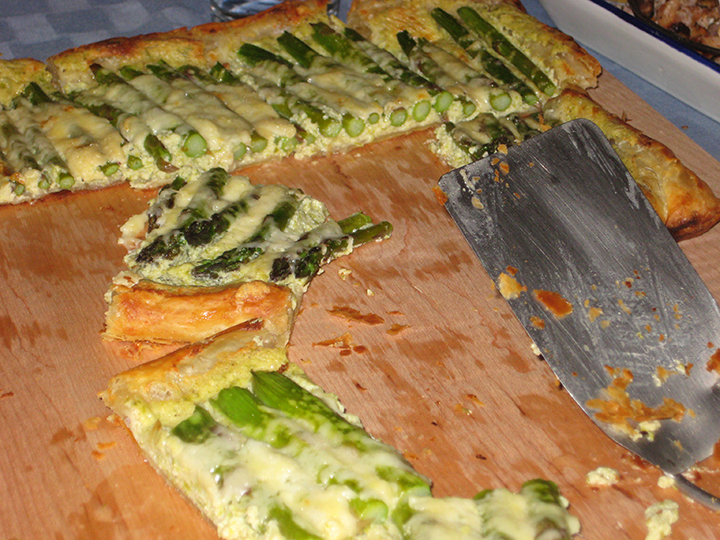 If you have leftover asparagus puree you could either make the tart again the next night, or make some spectacular twice baked potatoes with it, or just eat it with a spoon. I won’t judge. This was an experiment, and while it worked it wasn’t quite as interesting as I wanted it to be. 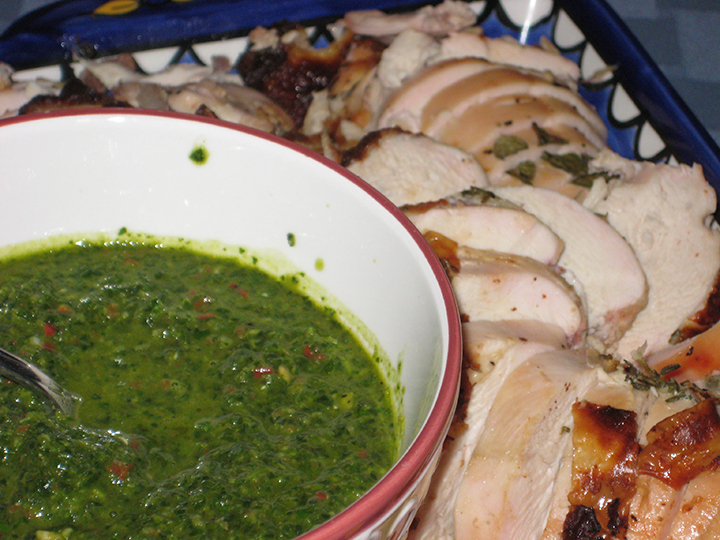 I did alter the original recipe to make it more savory – basil instead of mint, added in some fennel, and served it over a bed of arugula – so I want to go back and try making the original recipe as a light dessert, maybe with a scoop of vanilla ice cream or an orange sorbet. Whisk together the sugar, Lillet, orange juice and lemon juice. Pour this over the rhubarb and fennel and allow to macerate for about 30 minutes. Add the strawberries and basil and toss to combine. Drain any excess liquid from the mixture. Toss the arugula with a light salad dressing (I used an orange-balsamic dressing I had in the fridge). 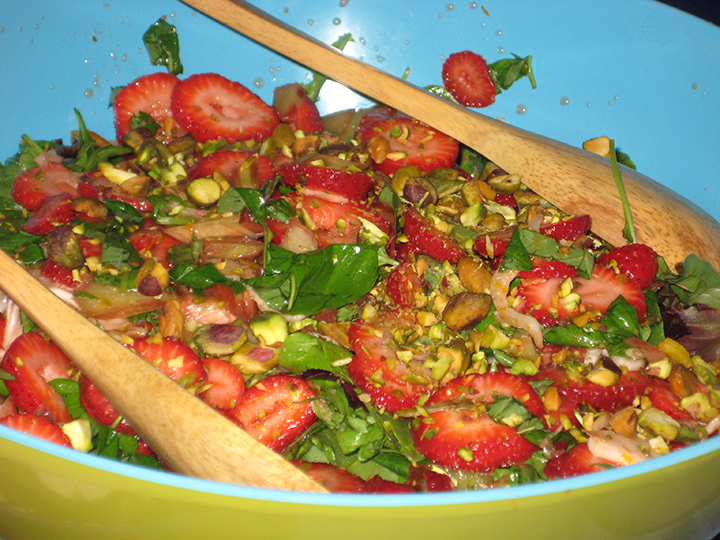 Arrange the drained strawberry-rhubarb mixture over the top, and then sprinkle with the chopped pistachios.